I made this project in less than thirty minutes when I was about to head out for a small birthday dinner a couple weeks ago. 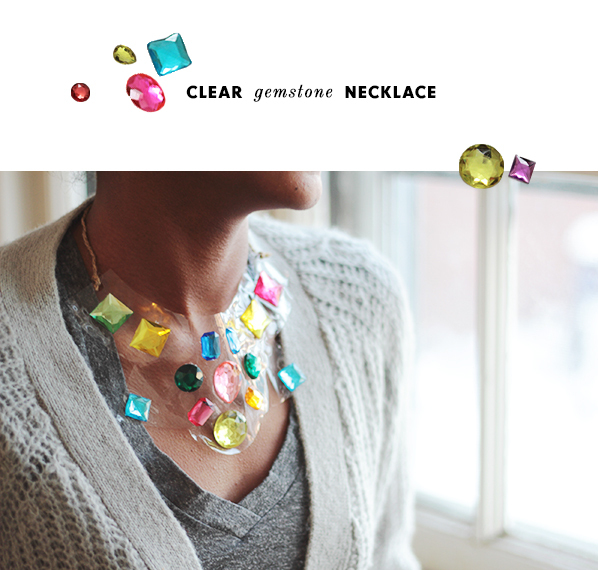 I was inspired by the Kate Spade version of the plastic/gemstone necklace, like this one here, yet didn't think it worthy enough of hundreds of dollars (I mean..it is made of plastic). So I whipped up this necklace using a thick plastic bag container I had in my room originally used as packaging for bedsheets I believe. I purchased a (seriously) massive bag of large, colorful gemstones, which is a delight in and of itself, from Blick's in Central Square. I wish I could have used a nicer cord for the neck band, however, I only had this hemp-like thread on hand. You should try using a gold or silver chain, or perhaps a black band to bump up the elegance of it all. Ah well, I just hope you get inspired! Oh wow, Marjorie, how fun! 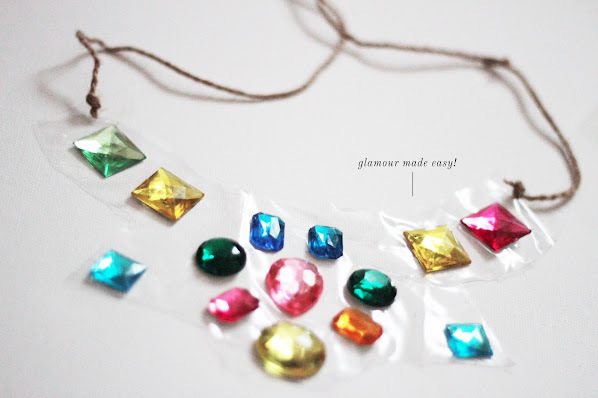 I love how the clear plastic really lets the gems stand out on your skin. I too have a habit of making something to wear on my way out the door to an event- it's actually how I devised this necklace- https://www.etsy.com/listing/117032943/fabric-bead-necklace-in-plum-jewelry - I needed something to match a particular dress and had about half an hour. Here's to last-minute projects that turn out great! This is beautiful!! Thanks so much for sharing, I'm awed that you created everything yourself! How cool! Love the colorful jewels. Your blog design is adorable, by the way! 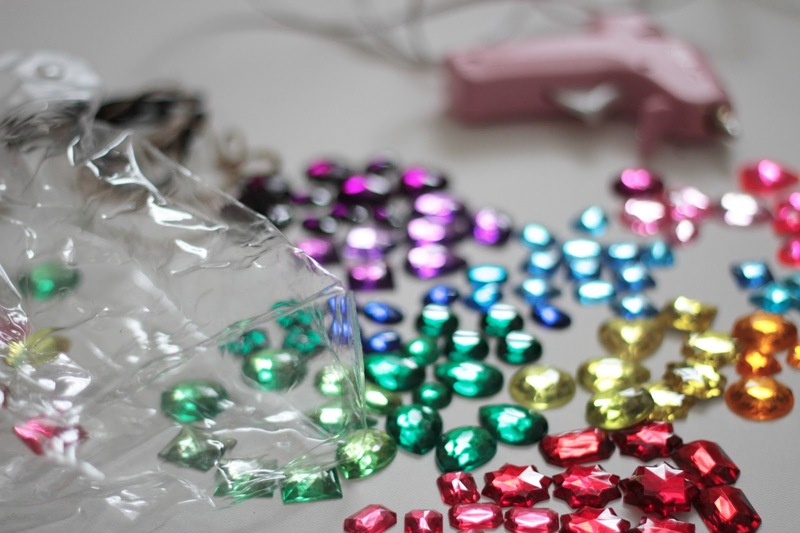 I gotta get me some gemstones.